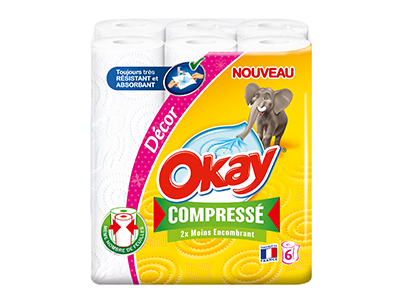 The new Okay® Compressed household towels are manufactured using patented technology that compresses the individual sheets, and makes Okay® Compressed less bulky than ordinary household towels. It is both easier to carry and store and uses 30% less packaging. 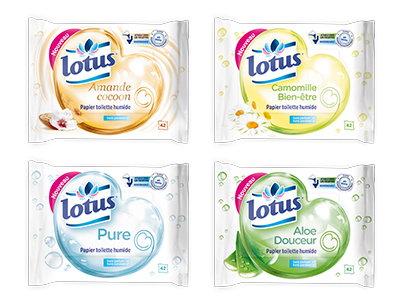 Lotus moist toilet paper is a perfect complement to dry toilet paper, for a fresh and clean feeling. 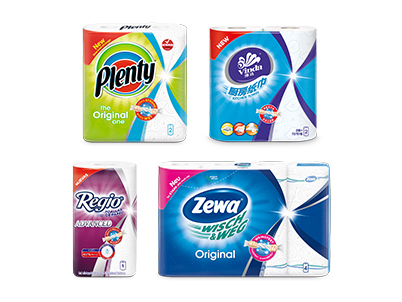 The premium range of Lotus moist toilet paper is available in four different versions. In 2016, SCA launched, for the first time, a global packaging design for its household towels. The aim is to further strengthen the various brands by harmonizing the appearance and feel of the packaging in different markets. A paper dispenser with a high capacity that contains extra-long rolls (350 meters), is designed to be easy to clean and thereby hygienic. The dispenser is water resistant. 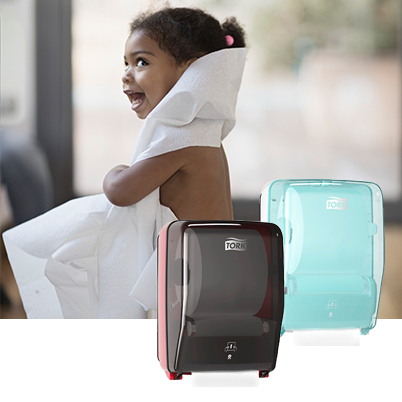 Tork Easy Handling™ packaging is designed to make life easier for anyone who works daily with products from Tork. 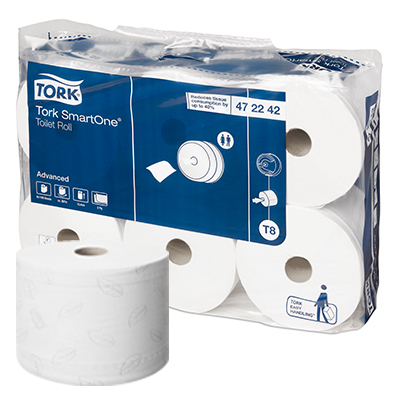 The new packaging for Tork SmartOne® toilet paper rolls is easy to carry and has a perforated opening that saves time and makes it easier when you need to carry packaging that has already been opened. This means cleaning staff can carry out their duties faster, more efficiently and with better ergonomics that is less physically demanding.